The weekend sweep is in sight. 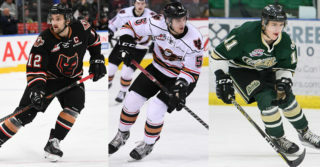 Saturday night marks the last meeting of the season against the Prince Albert Raiders, (6 p.m., WHL Live, Sportsnet 960 THE FAN) and ends a three games in four nights stretch. 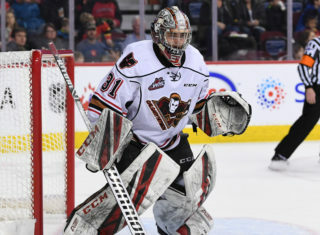 The Hitmen have posted a record of 1-1-1-0 against the Raiders, with two of the three tilts being decided in overtime. 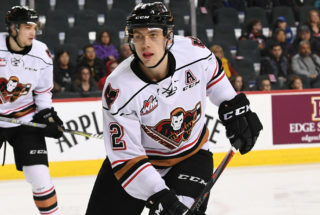 Jakob Stukel (4A) and Riley Stotts (1G, 3A) lead the Hitmen with four points each in the season series. Vladislav Yeryomenko (3a) is next with three. 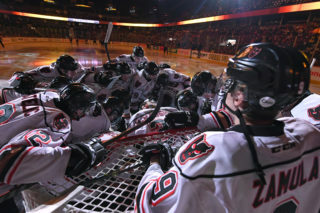 Last meeting between the clubs saw the Hitmen erase a 3-1 deficit with less than four minutes left in the third period. Conner Chaulk would then go on to score the overtime winner to complete the comeback. The Hitmen will look to go a perfect two-for-two for the weekend after a 5-4 overtime win Friday night against Saskatoon. Tristen Nielsen tallied his first career WHL hat-trick with Mark Kastelic and Carson Focht adding the other markers. 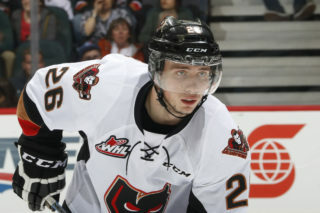 Focht and Egor Zamula both had three point nights as the Hitmen came back from being down 1-0, 3-1 and 4-3. Prince Albert meanwhile has been on a roll as of late, as the Raiders have won eight straight after a 6-4 victory over the Moose Jaw Warriors. The stretch of 8-2 in their last 10 games played has been a large reason why the Raiders currently hold the final wildcard spot in the Eastern Conference. With five games remaining, Prince Albert sit five points ahead of the Blades. The four-game road swing will come to an end Tuesday evening for the Hitmen, for one last clash against Central Division rivals Medicine Hat. The following night will see the club return home to take on the Kootenay ICE. Tristen Nielsen (5G, 3A) is on a five-game point streak. Mark Kastelic (3G) has goals in three of his last four games. Jake Kryski (5G, 9A) has points in eight of his last 10 outings. Conner Chaulk (4A) has points in two of his last three games. Mark Kastelic is two assists away from 50. Luke Coleman needs six points for 100. Tristen Nielsen is two games away from 100.